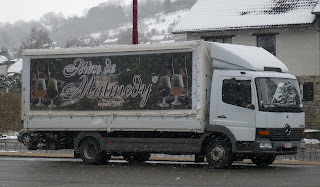 The first of many beers during this past week’s winter retreat was a little local number called Bière de Malmedy Brune. True to its name, it is a brown beer brewed in the small resort town of Malmedy, which lies a few kilometres from our igloo hide-away up in the snow-covered village of Robertville. I'm jealous. It's such a beautiful region !! !